I wrote these poems in 2009, during my Fellowship at the Uconn Connecticut Writers Project in Storrs, Connecticut. I am enamored with all things Mount Everest, and read every book I can find on the subject. I wrote these poems shortly after reading yet another book, pondering why certain people have such a drive to climb this mountain. I took on both the persona of the mountain and of "Everyman" to explore how nature might "feel" to have humankind scrambling all over leaving chaos in their wake. In fact, they say the mountain is actually shrinking due to the constant climbing. There are a few footnotes which are in brackets because I don't know how to superscript on the blog. Like this: . And hold yourself high in disdain. Hiding behind your white scarf. So they cannot see your face. The dead ones at your feet. To be buried in your stony heart. I do not take away the sins of the world. Like sucklings to a mother pig. To assuage their lust for glory. Their ropes to pin me down. Their Babel on my flanks. You worship to ensure your own glory. Who said I wanted sacrifice? One last chance at life. I'm curious to hear your thoughts after reading these poems! Thank you! You've heard it. You know it. Children learn from what they see their parents doing. But it's easy to forget this vital truth. Here's a practical book that reminds us of all the truths we probably already know... but often let slip to the back of our mind. 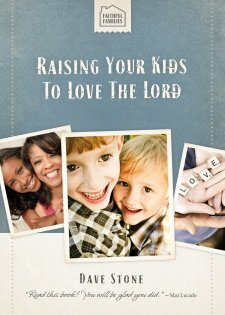 After reading Pastor Dave Stone's book Raising Your Children To Love the Lord - I was torn about how to rate it. Although full of practical advice, tips and examples for raising godly children, frankly, this book just does not delve deep enough, spiritually. Good points, right? But... even including #4, what about this is any different than a parent who is, say, Jewish or Muslim? It's good morality, but not distinctively Christian. And... while I read these points, I could immediately think of Bible verses that would definitely support these tips. But none of these verses were included in the text at all!!! And therein lies another criticism I have of this book - if you're writing a book about teaching kids to love the Lord - doesn't that come from loving the Word of God? Therefore, wouldn't you want to include SOME scripture to back up what you're saying? (I'm not saying it needs to be whole chapters, but maybe each chapter or section could have a key verse listed?). Now, I have no doubt the author, as a pastor, COULD have included more Scripture - so, it makes me wonder why he didn't. Also, surprisingly missing from the book was discussion about leading your children to Christ. Teaching them about the grace of God leading them to repentance. About how salvation does not come through following a list of do's and don't's. About true repentance and throwing yourself upon the mercy of a loving God and not resting in your own righteousness (which, I'm afraid a list of do's and don't's often leads to!). Now, perhaps that's because the author assumes that if you "raise your kids to love the Lord" this will happen somewhere along the way. Or, perhaps since this book is one of a trio, this topic is covered in one of the other books? I will try to give the benefit of the doubt here. But... how can a child "love the Lord" when they have not learned of the Lord as their Savior? One wonders. As a piece of writing - it's smooth, clear, and filled with enjoyable anecdotes, and it's written from a Christian/Protestant perspective. I did appreciate the tender, loving tone. Certainly, it's a clear overview of practical parenting, and the main positive take-away for me was to remember to be intentional about how I parent. I am giving this book just three stars, because I feel it is "lightweight." It's great as a gift-able book, or for parents who are new Christians, or perhaps not raised with a Christian heritage or strong Bible background. This, then, would be the perfect quick read for new believers to start to employ Biblical truths for raising kids. However, I think any parent who has been raised in a Christian home/school/church their entire life, the tips and points in the book - while all true and necessary - will seem rather obvious. I'm just saying it wasn't all I was hoping for in a Christian parenting book. Had there been more depth, and more Scripture backup, I would have given this book a higher rating. What do you look for in a Christian parenting book? Do you have any you'd recommend? I'm sure you've read all about it on my Facebook and our family / review blog... but wanted to be sure to spread the news that we've added to our family! Our second son joined the world just three weeks ago! We're so blessed to have him! Big brother is doing great with him, but wondering why he doesn't want to PLAY! And now... I have twice as much to write about with two boys in the house! Today is National Poem In Your Pocket Day 2012! How does it work? Simply find a poem you like (or write one), jot it down or copy it. Fold it up and stick it in your pocket (or purse, or diaper bag...). Carry it around all day and find opportunities to share it with people you meet! Spread the poetry love! To celebrate, I'm hosting a poetry linky on my other blog A Year With Mom and Dad! Create a simple post that shares a favorite poem (that you read or wrote! ), and then link up. **Please be careful when you republish a poem on your blog that it is in the public domain to avoid copyright issues. Here's one of my favorite poems, as a writer, because I understand how it feels to have something you wrote feel like a child you want to see succeed in the world! Very exciting news for this writer-poet! Yesterday, I received word that my villanelle, "Planting" was chosen as the winner of BlogHer's NaBloPoMo weekly poetry contest! I was so thrilled to hear that, then even more excited to find out my poem would then be syndicated on the BlogHer.com website! Today my poem went live to the world! Click here to have a read, leave a comment, share with friends! Thanks for celebrating my good news with me! Have you had the joy of having your writing published or winning a contest? It's so fun!